Here at Slick Text, we’re all about following a set standard of SMS marketing best practices. In fact, if you stray from these rules, you’ll find your offer redemption rates and subscriber engagement plummeting. Anyways, now that we’ve warned you about the dangers of coloring too far outside the lines, let’s take a few minutes and get creative. 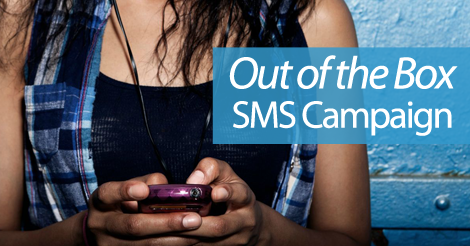 Here is an out of the box SMS campaign idea that will encourage subscribers to engage with your brand. Why not use text messaging as your main form of communication for this activity? Tons of small businesses run scavenger hunts on Facebook, Twitter, or other social media outlets. Why not be the innovative one of the bunch, and text out hints/instructions to your loyal subscribers? Ideally, this tactic would really work well for a local business. First things first, try to schedule the scavenger hunt around a momentous occasion. Maybe it’s a grand opening or holiday. Either way, make an event out of the entire thing. That will encourage more people to get involved. Secondly, make sure the prize at the end of the hunt is worth working for. Don’t simply reward participants with $10 gift cards, as you’ll struggle to get people to actually show up for the event. From a compliance standpoint, you’ll have to set up a separate keyword for your scavenger hunt. Why? Because, unless your frequency is insanely high, you’ll easily go over it if using your main keyword for communication. A good scavenger hunt should have anywhere from six to ten different stops. For each stop, you will need to schedule a text campaign. Set up this keyword, and encourage interested participants to text in on the day of the event, and join the activity. Partner up with top SMS marketing provider, Slicktext.com. Give us a call at 1.800.688.6290, or hop over to our pricing page and sign up for a free plan. We love seeing you succeed, bottom line. So, let’s work together and make that happen.